Employment credit reports have been in the spotlight in recent years as states battle over whether employers should evaluate workers on the basis of their creditworthiness. Employers routinely use credit reports—for financially sensitive positions and alongside other background screening measures—to assess a candidate’s financial responsibility and potential risk. 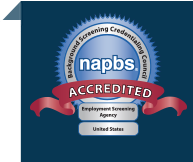 One argument being played out in the media today concerns the fact that credit reports can contain errors that could lead to unfair adverse action against a job candidate. The FTC recently completed its first major study of credit reporting and scoring accuracy. It found five percent of consumers had errors on one of their three major credit reports that could lead to them paying more for products such as auto loans and insurance. These are the same credit reports used by employers in the hiring process for some jobs so the argument also exists these erroneous reports could impact a candidate’s job prospects. 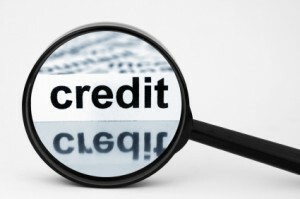 In our view, it should be no surprise credit reports have errors. In fact, the Fair Credit Report Act and its adverse action/dispute resolution process exists because errors are assumed and inherent in the credit reporting process. The government’s “Free Annual Credit Report” program, which requires the three major reporting agencies to provide and encourages consumers to request copies of individual credit reports each year, is further evidence of this longstanding assumption. Consider store credit card applications, job applications, and the many other instances in which credit-related information is entered from hand-written, often incomplete, applications into systems by human beings. Consider also the intentional errors created by identity thieves, and reporting errors made by creditors who incorrectly or inconsistently report payments. Credit reporting is known to be a process that has inherent error. Employment credit reports still have value. Yes credit reporting is imperfect, however it is also a valuable source of information for employers—particularly when hiring for certain sensitive financial or managerial positions. The fact some reports can contain errors only highlights the need for employers to follow established protocol for adverse action notifications. It also underscores the need for employers to take a holistic view of each individual. Just as we take into account the gravity and nature of a crime when considering employment criminal records, we need to consider credit history data in context. Did the individual go through a recent divorce? Did he suffer losses as a result of a medical issue? Is she caring for an elderly person? Was his identity stolen? Or, is she irresponsible, and /or living beyond her means? These questions can only be answered when an employer takes time to assess each individual. And that is precisely the point, and arguably the law. It bears repeating that employers must consider the totality of an individual’s background and experience when making hiring decisions. A single blemish on a criminal record or a poor score on a credit report, in and of itself, should not necessarily disqualify an individual from employment. Instead, employers should individually assess and consider the sum of an individual’s background in determining their fitness for a particular role.